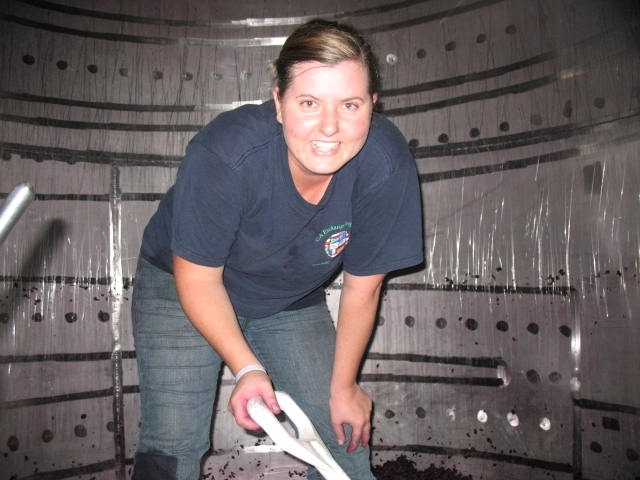 Riana in a stainless steel fermentation tank, digging 'must'. 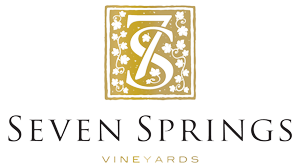 Seven Springs Vineyard is pleased to announce that Riana van der Merwe, our winemaker, is to work at leading Oregon winery, Adelsheim Vineyard, http://www.adelsheim.com, for the 2010 harvest. This is a great opportunity for Riana to work with a leading U.S. winery producing top Pinot Noirs. The experience will give Riana an insight into leading northern hemisphere Pinot Noir production, especially as our young Pinot vines are nearing maturity.